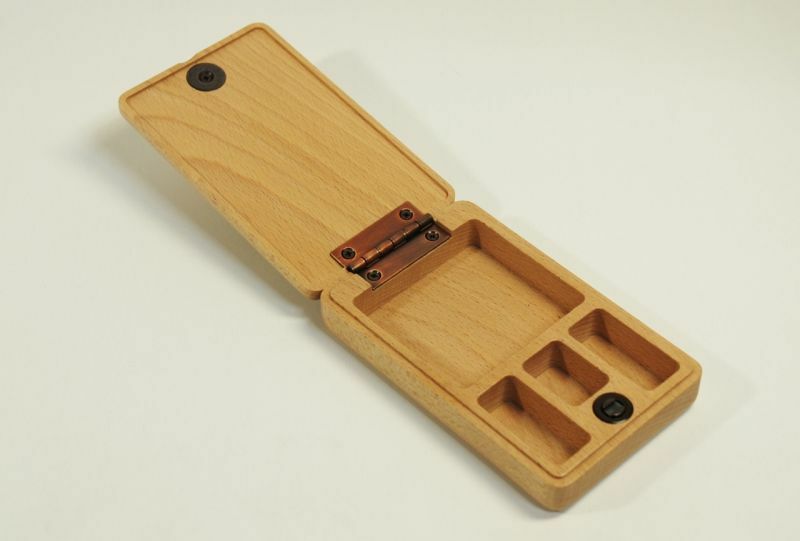 Wooden Small tackle box for Keiryu bait fishing. The box can be used as a fly box. 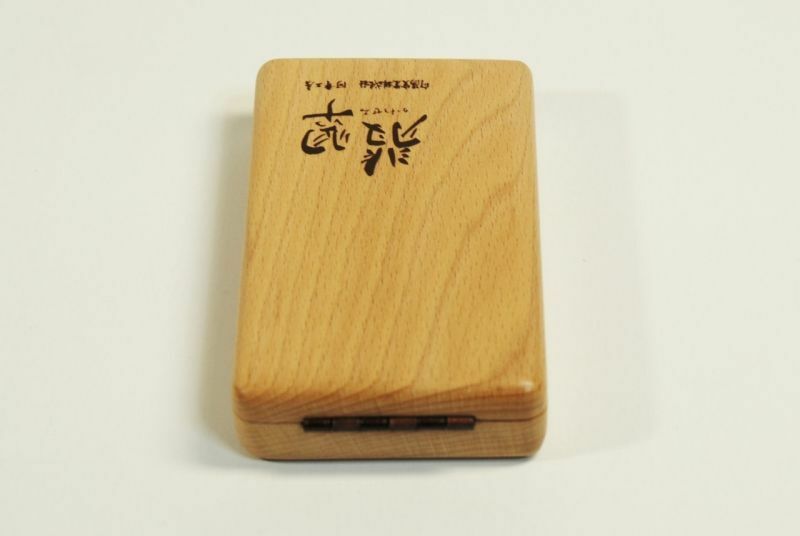 The box is made of Japanese maple and made in Japan. The lid is closed by the powerful magnet. 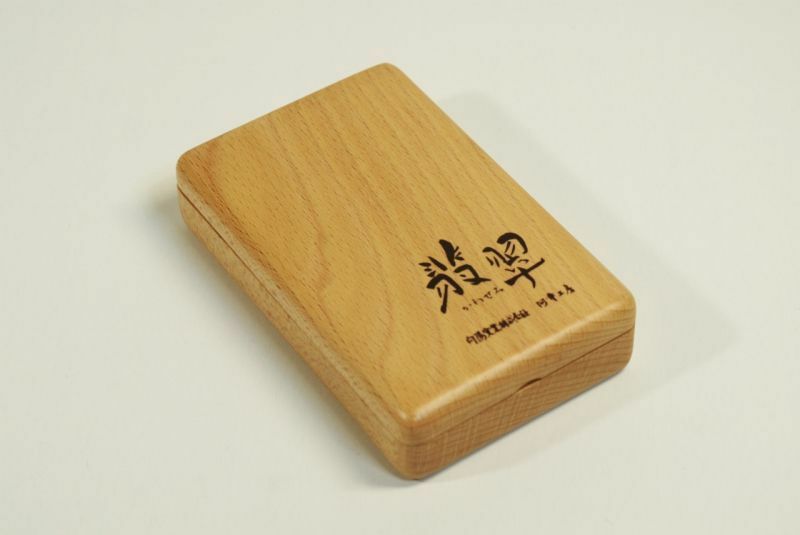 There is kanji print logo of "Kawasemi" on the top lid. 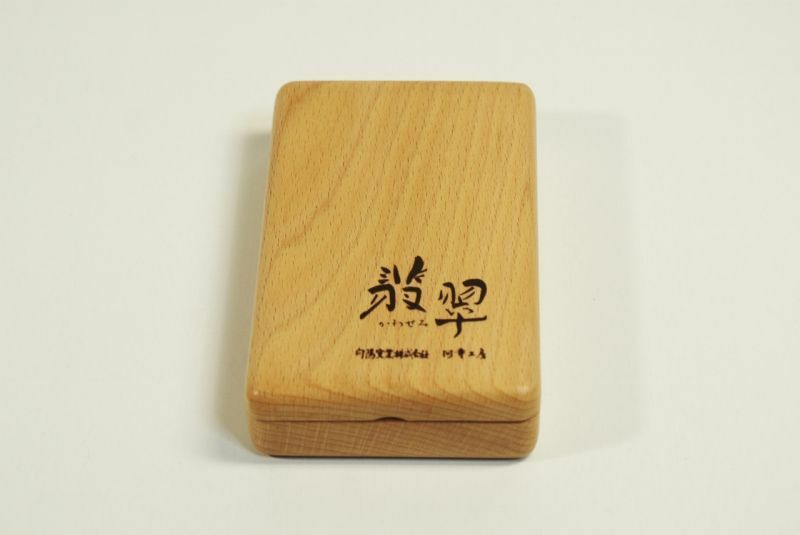 This is the product that have been produced by natural materials. The light and shade of the color can be by the state, such as grain, timber. In addition, because there is individual difference depending on the product finish.